Mr Sterling fears for the future of the novel. Author Bruce Sterling is one of the most respected writers of science fiction. He is also a web activist, columnist, teacher and one of the most anticipated speakers at the South by South West Interactive Festival in Austin, Texas, at which he will give a talk entitled: The state of the Cybersphere. The difficulty with interviewing Bruce Sterling is knowing where to start. His interests range from literature and design culture, to futurism, political activism, micro and macro economics, technology and 11th Century writers. Perhaps the simplest starting point would be: The future? Explain. Apparently the only way to tell the web geeks from the music heads is that the T-shirts on the latter group are slightly cooler. But Sterling does not speak in handy, journalist-friendly soundbites and rejects the notion of being a prophet. Instead he speaks as he writes, launching verbal hand grenades packed densely with ideas, answers and counter questions. "I am a cult author; I don't write for the vast hamburger-eating, seething masses. I try to plant mind bombs - do the most damage," he tells me. He is the author of 10 novels, many short stories and is one of the most interesting, magpie bloggers of the modern-day techno-infused culture. Along with writers such as William Gibson and Pat Cadigan, he drove the take-up of the cyberpunk literary genre which both fomented and predicted contemporary society's heady mix of technology and culture. But he is worried that his novel-writing days may soon be at an end. "I am not sure I am going to be allowed to do it. American publishing is in distress. The book stores are going, the big centralised publishers are very heavily indebted and they are small sections of the centralised American media apparatus that have lost social credibility." Bruce Sterling novels are closely tied to the tenors of our times. He adds: "People don't pay attention to novels. The socially important parts of American communication are not taking part in novels. You can write them but they are not changing public discourse. "You can also say that everybody in society has moved up a notch and everybody just wants the executive summary." 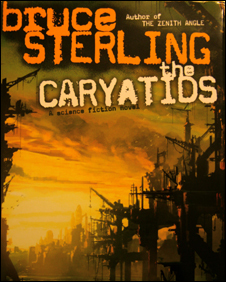 Despite cyberpunk's prescience Sterling does not want to cast himself as a prophet. In his 1988 novel Islands in the Net he wrote of off-shore global terrorist groups, of de-localised, networked corporations, and of computers becoming fashion items. "If you read a piece of science fiction that is very accurate about future developments it makes you unhappy. When you read these books you wonder why nothing was done about these problems if you were able to predict them. "It gives you a sense of helplessness." But he adds: "There's a clear social need for someone willing to predict the future. People really need prophets in the same way they need faith healers and witch doctors." But he warns that looking to these prophets "doesn't galvanise people; it doesn't change their behaviour". Sterling is not looking to produce manifestos of the future to try and corral people into making change, despite his strong activist feelings around issues such as the global economy and climate change. He says: "I like ideas as abstract constructs. I don't fancy myself as political organiser. "I am too literary and poetic to be an organiser or rabble rouser. I am an attention philanthropist, always pointing to stuff other people are doing." Science fiction, he says, has as much relevance in today's world of seemingly relentless scientific endeavour across many different fields as it did in the past when the perception of the pace of change was arguably slower. He says: "Science fiction writers are not suffering from the pace of development. We're suffering much less than stockbrokers and financiers from that pace of change." Sterling says he is still as able to project 1,000 years into the future as he is the next handful of years. He says his most satisfying area of output currently is his blog, Beyond the Beyond, for Wired magazine. "I like throwing ideas and making things thinkable that were not thinkable," he explains. "I am a slightly entertaining, cranky fringe figure." One of the recurring themes of Sterling's blog is obsolete media. 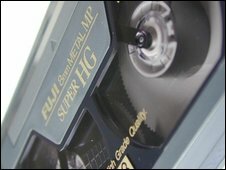 It is a thread in his novels too: In one scene of Islands in the Net the female protagonist trips on a half-buried video recorder, a relic of the past. "I am not an industrialist. But it's up to me to talk about the loss. The future is obsolescence in reverse. And obsolescence is a big part of maturity. "To understand that things happen you have to understand that things vanish. A lot of it deserves to be gone forever, but not all of it. I am especially worried that things disappear in thoughtless fashion." Sterling: For things to happen, things must vanish. Intriguingly, he is not concerned that the seminal cyberpunk anthology from the 1980s MirrorShades is no longer in print. "I am not anxious to impose a cultural framework of 1984 on today," he says. He says that future science fiction authors would learn more from reading the 11th Century Japanese book Pillow Book than MirrorShades, as its structure more closely resembles today's blogging formats. "If I wanted to tell people how to write effective science fiction in contemporary circumstances they would be better off reading Pillow Book than MirrorShades. "Something from the 1980s is not going to be a whole lot of use to you now. Even the most visionary stuff." Despite not being in print, MirrorShades can be found on eBay or in second hand book stores and quite crucially for Sterling it still exists in physical form. He is concerned about the potential "link rot" of his blog. "There's no permanence to it. Who's going to store all that stuff and the things that it links to? I am not." He is currently working on a novel about the European Union set 60 years in the future despite his fears that the publishing industry is in crisis. "I worry about the loss of communication with the reader. It's a very intimate kind of one on one discourse. "Novels give you cognitive estrangement - the wow factor and the potential of the different." He adds: "I may have to do print on demand." But his is somewhat philosophical about his future novel-writing days. "I've written 10 of them. It's not like I've got a burning need. It's not like I didn't get my say."